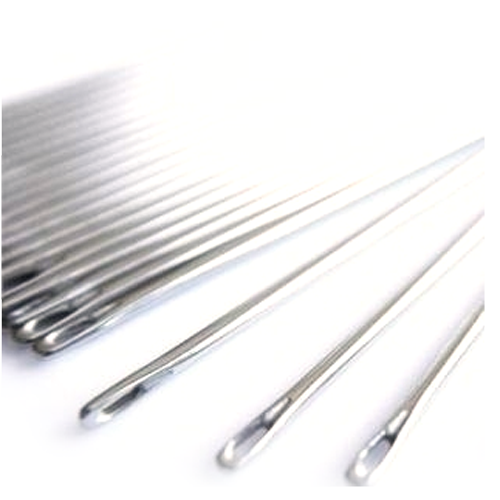 We are among the reputed organizations, highly engaged in manufacturing an optimum quality range of Sharp Hand Sewing Needles. Founded as a Partnership firm in the year 2008 at Faridabad (Haryana, India), we “Gautam Udyog” are the renowned manufacturer of a wide range of Safety Pins, Bag Needles and Sewing Needles. Our offered products are widely appreciated by the clients for their features such as corrosion resistance, flawless finish, easy usage, high durability, etc. Under stern supervision of “Mr. Shashi Kant Jain” (Partner), we have gained huge clientèle all across the nation. We are offering our products under the name Crown, Cheetah, Ajanta for hand sewing needle and safety pin with name Natraj.